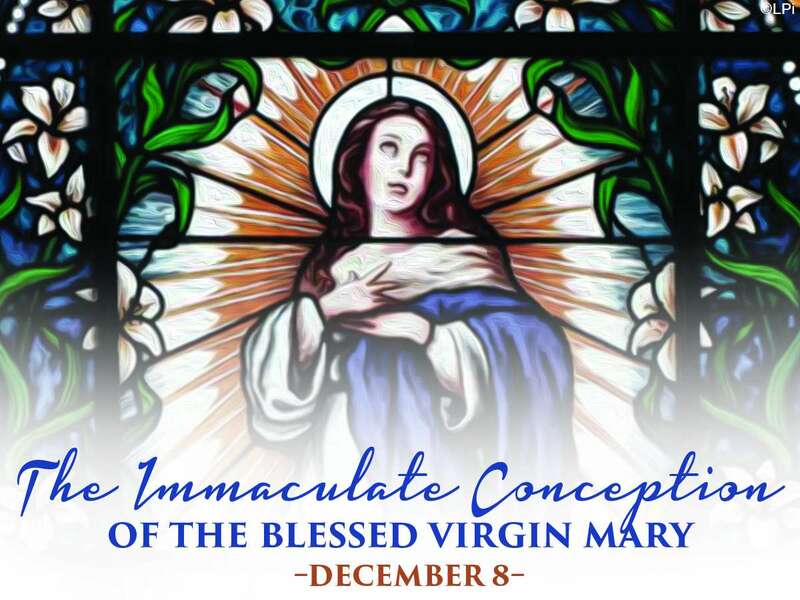 Celebrate with us The Immaculate Conception on Friday December 7th at 5:30PM or December 8th at 8:30AM. I've heard some people say that Jesus was "immaculately conceived" because he didn't have a biological father. But today we celebrate Mary. What do we mean by the "Immaculate Conception"? Sometimes this Catholic phrase can be confused in popular media. The Immaculate Conception actually applies to Mary. We celebrate that she was conceived free of original sin. When the angel Gabriel appeared to Mary, he stated that she was "full of grace." Since God is outside of time, she was able to receive the graces of Christ's redemption. Mary did not experience the effects of the Fall. That doesn't mean she didn't have free will! At the Annunciation, Mary could have rejected Gabriel's invitation, just as Eve rejected God in the garden. With Mary's yes to God's plan, she is often called the New Eve, as Jesus is the New Adam. Their fidelity restores what was lost to us in the Fall.